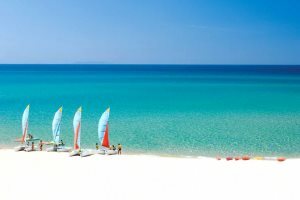 The perfect choice for families looking for an activity filled holiday. 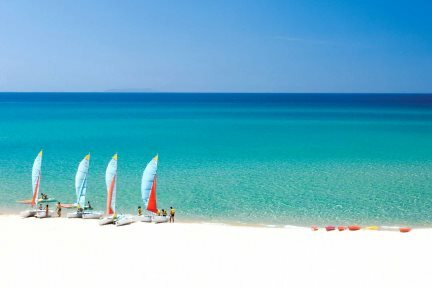 As part of Resort and Spa Le Dune, Hotel I Ginepri is a 4* property which is ideal for a family holiday. 175 guestrooms complete I Ginepri as the largest hotel within the resort, with all rooms positioned around or close to a good-sized pool, a restaurant and a bar. A 24hr reception is also close to all rooms, should you require any assistance. There are five different room types available to choose from, including: standard, superior, superior family, family suite and senior suite family, each decorated in neutral tones with green accents, with the latter room sleeping up to 6 guests. The main restaurant for this hotel is ‘Nautilus’, however guests have access to eight other eateries on-site, all offering different types of cuisine. For more information regarding these restaurants and any supplements required, visit Le Dune Resort & Spa. As a family, you will all have plenty of entertainment to enjoy during your stay. For the very little ones, there’s a nursery and lots of gardens and play areas to enjoy. There’s also a children’s club for every age up to teenagers, and a children’s restaurant for the little ones entitled ‘The Peter Pan Restaurant’, which is open for lunch and dinner. Not forgetting the adults, I Ginepri has access to the resort’s impressive wellness centre, where three outdoor pools, a gym, and many different spa treatments can be enjoyed. An ice cream parlour and a whole host of different shops are best enjoyed in the early evening, along with the evening entertainment. Hotel I Ginepri is part of Le Dune Resort & Spa. To find out more about the resort, click here. Four swimming pools, two children’s swimming pools, four reception areas, 10 restaurants, six bars, home-made ice-cream shop. Baby club (ages 2 -3), mini club (ages 4-8), junior club (ages 9-13), teen club (ages 14 to 17): not available on Saturday. Parking, Wi-Fi (reception and some bars), medical service, use of sports and activity equipment, games area and playground. 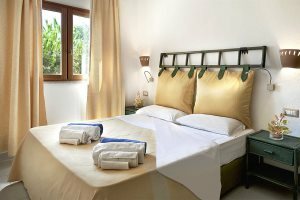 Superior bedroom with double bed (twin beds on request) for two adults, plus armchair bed to sleep a third guest aged up to 13 years old and possibility of a cot for a child aged from 0 to 1 year old. Spacious Family Suite, composing of a bedroom with double bed, plus separate living room with single built-in sofa beds (or armchair beds). For maximum four adults plus a child from 0 to 1 year old in a cot. 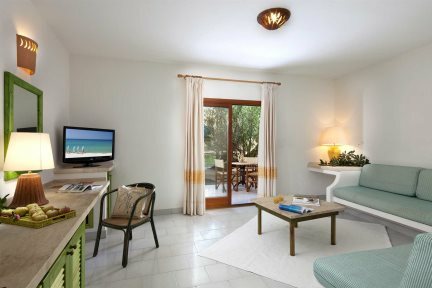 Superior Family Room, composed of two Superior Ginepri inter-connecting bedrooms, each of them with double bed (twin beds on request) for two adults, plus armchair bed to sleep a third guest aged up to 13 years old and possibility of a cot for a child aged from 0 to 1 year old. 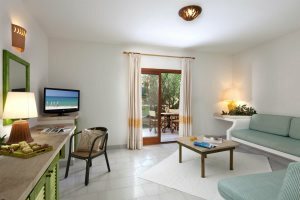 Senior Suite Family is a three-room accommodation, comprising a double bedroom, a twin bedroom and separate living room with two single built-in sofa beds or two armchair beds. For a maximum of six adults plus a child aged from 0 to 1 year old in a cot.